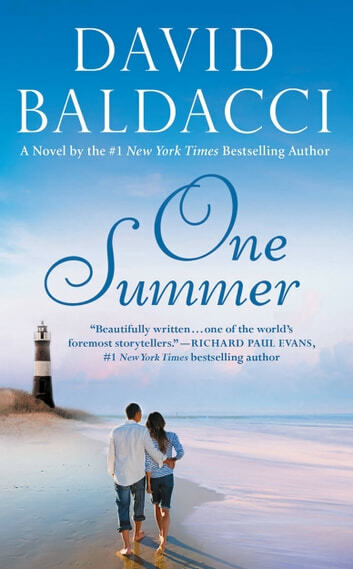 David Baldacci delivers a moving, family drama about learning to love again after terrible heartbreak and loss in this classic New York Times bestseller. It's almost Christmas, but there is no joy in the house of terminally ill Jack and his family. With only a short time left to live, he spends his last days preparing to say goodbye to his devoted wife, Lizzie, and their three children. Then, unthinkably, tragedy strikes again: Lizzie is killed in a car accident. With no one able to care for them, the children are separated from each other and sent to live with family members around the country. Just when all seems lost, Jack begins to recover in a miraculous turn of events. He rises from what should have been his deathbed, determined to bring his fractured family back together. Struggling to rebuild their lives after Lizzie's death, he reunites everyone at Lizzie's childhood home on the oceanfront in South Carolina. And there, over one unforgettable summer, Jack will begin to learn to love again, and he and his children will learn how to become a family once more. I enjoyed this story about a man's love for wife and family. And being able to beat all odds against him. A beautiful and heart wrenching story of a father`s love written Baldacci style. Unforgettable.